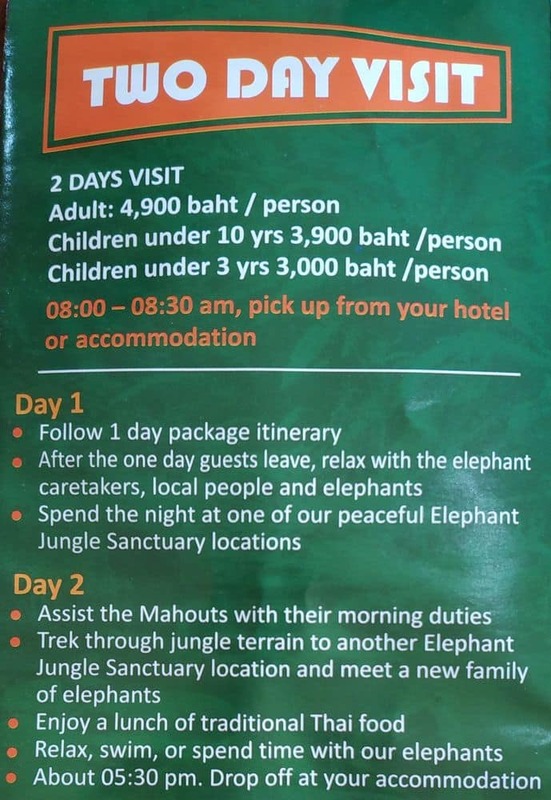 The Elephant Jungle Sanctuary is an ethical and sustainable sanctuary that cares for rescued and injured elephants that is located 60kms from Chiang Mai city. The Sanctuary opened in 2014 and is a joint initiative run by members of the Karen hill-tribes and local Thai people who were concerned about the welfare of elephants. The sanctuary’s aim is to provide freedom and happiness to these rescued elephants and allows tourists to visit at the park to raise money for their ongoing care. Money raised goes towards food, veterinary care, infrastructure as well as other elephant rescue. There is a strict NO RIDING policy at the park, nor do they perform for visitors. Instead, the park offers a range of day tours where visitors can feed and play with the elephants as well as bathe them and observe them in a natural environment. You will learn about the care of the elephants and a little about each of their stories. 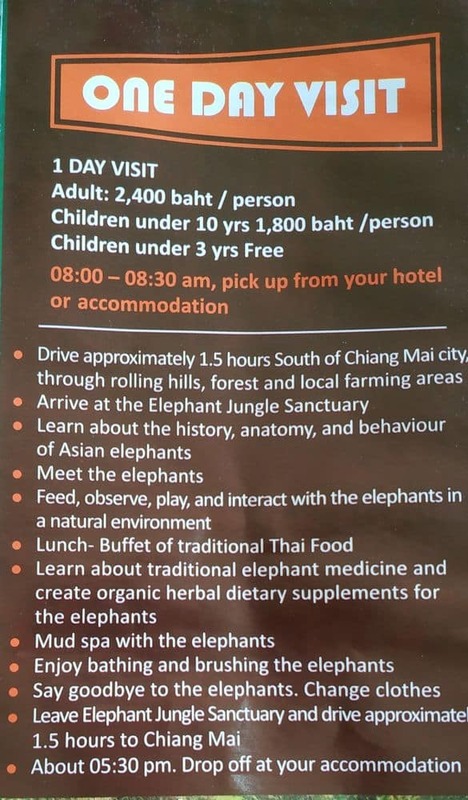 You will be provided with lunch during the tour as well as transport to and from Chiang Mai. 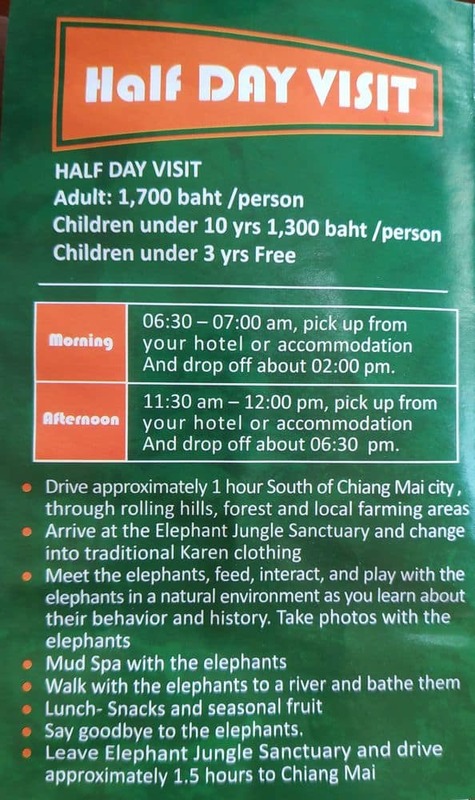 You should make sure to bring a change of clothes if you intend to bathe with the elephants, was well as sunscreen, a hat, towel, insect repellent and some sturdy shoes, as much of the trail can be muddy after heavy rains.